Online retail sales are continuously growing across the world. While Western markets have started saturating, emerging countries continue to drive the e-commerce growth, helped by the rising Internet penetration, strengthening delivery network, and massive discounts. Here we take a look at the top 10 fastest growing ecommerce markets in the world. Unsurprisingly, all of these markets have witnessed increased mobile and Internet penetration in the last few years. The ranking below is based on data from ePayment service provider PPRO. According to PPRO, the rapid growth in these markets gives international brands and retailers a chance to be there and take advantage of the booming market before they begin to saturate. In most of the emerging markets, people prefer to pay on delivery in cash rather than making payments through credit cards. China is the largest e-commerce market in the world, accounting for roughly 40% of the world’s online retail transactions. However, it’s still growing at an impressive rate of 27% a year, driven by the rising income and domestic consumption. According to PPRO, wages in China are rapidly closing the gap with those in European markets. China’s Alibaba is the world’s largest online retailer. The Chinese online retail market is worth $865 billion. The Indian e-commerce market is also growing at 27% a year. According to consulting firm Deloitte, the Indian e-commerce market will grow to $84 billion by 2021. Thanks to the growing mobile penetration and cheap Internet connectivity, the Indian market is expected to grow rapidly in the coming years. The world’s largest democracy has more than 800 million active Internet users. Israel is one of the most technologically advanced nations in the world. The Israeli e-commerce market is currently worth $3.6 billion, and it’s growing at a rate of 31% a year. The average online spend in the country is $1,361. Most online shoppers in Israel pay via credit cards or e-wallets. The Saudi economy depends heavily on oil. But as part of its long-term plan, the kingdom has been diversifying its economy to reduce the reliance on oil. While its economy has been hit hard by falling oil prices, its e-commerce sector is growing at a healthy 32% annual rate. The Saudi online retail market is currently worth $4.5 billion. The small Asian nation is one of the world’s fastest growing ecommerce markets with an annual growth rate of 32%. Its e-commerce market is currently worth $2.6 billion. PPRO points out that China tends to set the benchmark for its neighboring countries. So, the explosive growth of e-commerce in China is influencing markets like Vietnam. The United Arab Emirates is one of the richest nations in the world. It’s all about wealth, luxury, tourism, and of course, oil. The Gulf nation has a population of only about 9 million, but its consumer spending is higher than $200 billion a year. Its e-commerce market is currently worth $5.10 billion and is growing at an impressive 33% a year. The South American nation is a surprise entry in this list. Colombia is the third largest economy in South America and has a population of 48 million. Its ecommerce market is worth $5.2 billion, and is growing at 45% a year. The growth is largely driven by convenience, the ability to compare prices, and a strong home delivery network. The Philippines is the third fastest growing e-commerce market with 51% growth rate. However, the size of the Filipino e-commerce market is still pretty small at just $1.6 billion. More than 60% of online shoppers in the Philippines still prefer to pay in cash at the time of delivery instead of making payments through credit cards or e-wallets. Mexico is the biggest beneficiary of the US-China trade war. Its e-commerce growth is driven by logistical improvements that have dramatically reduced the shipping times. 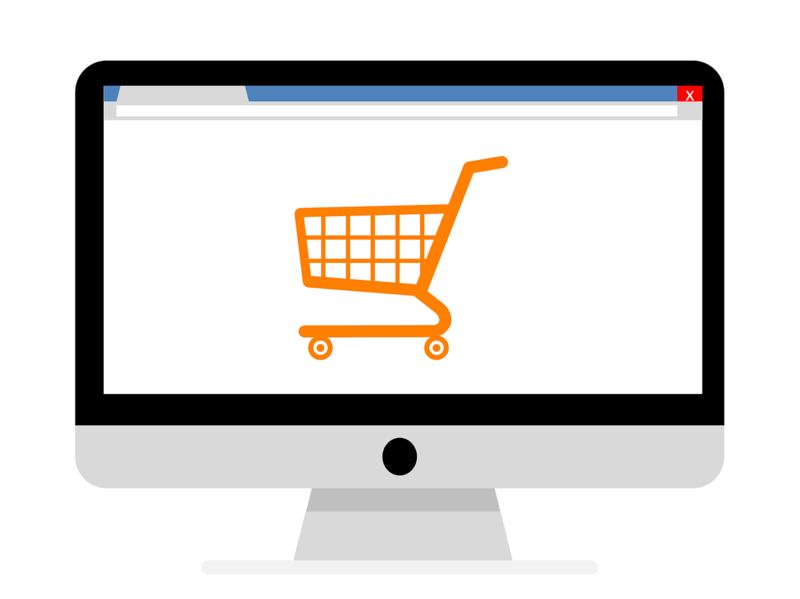 The Mexican e-commerce market is worth $16.2 billion. It’s growing at 59% a year. Indonesia is the world’s fastest growing e-commerce market with a growth rate of 78%. The world’s fourth most populous country has plenty of e-commerce growth opportunities. Its online retail market is worth $7.2 billion, which is just 2.4% of the total retail sales. Internet penetration in the country stands at above 40%. Most Indonesian online shoppers pay via credit cards, e-wallets, and bank transfer. Cash payments account for less than 15% of the total transaction value.